Location: From Halfway Texas, 2 miles west on Highway 70, then 4 miles south on FM 179, then 1 ½ miles west on County Road 130 to the SW/corner of the property. Legal Description: West/2 of the SE/4, Section 29, Block O, Ab 312, Hale County Texas, containing 80 acres more or less. Description: This is a very nice 80 acre irrigated farm. The soils are comprised of 100% Pullman clay loam with 0-1% slopes. The previous tenant has retired and the Owner wants to sell this land. 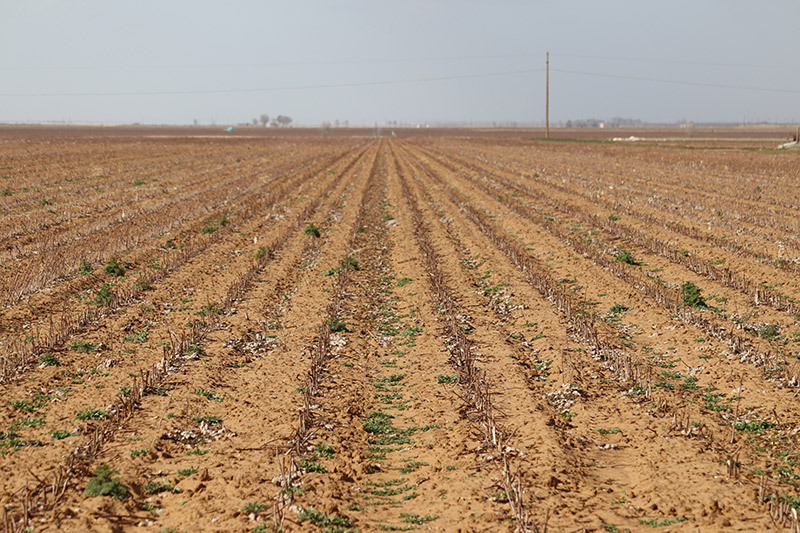 The land appears to be very clean and well cared for with productive soils. Access is good with County Road 130 on the south boundary. This 80 acres is only 1 ¼ mile west of FM 179, just NW of the Mayfield community. The previous cotton stalks have been shredded so very little work will need to be done before this year’s crop. Possession will occur after closing and funding. The electric pump was installed new in June 2011. It is a 30 horsepower pump. We have not had the well metered yet, but the previous tenant thinks the well is producing approximately 200 gallons of water per minute. We are planning on having the well metered as soon as possible. Minerals and Wind Rights: The Seller will not be reserving any mineral, wind, water, or other rights, so everything that is owned by the Seller will convey to the Buyer.